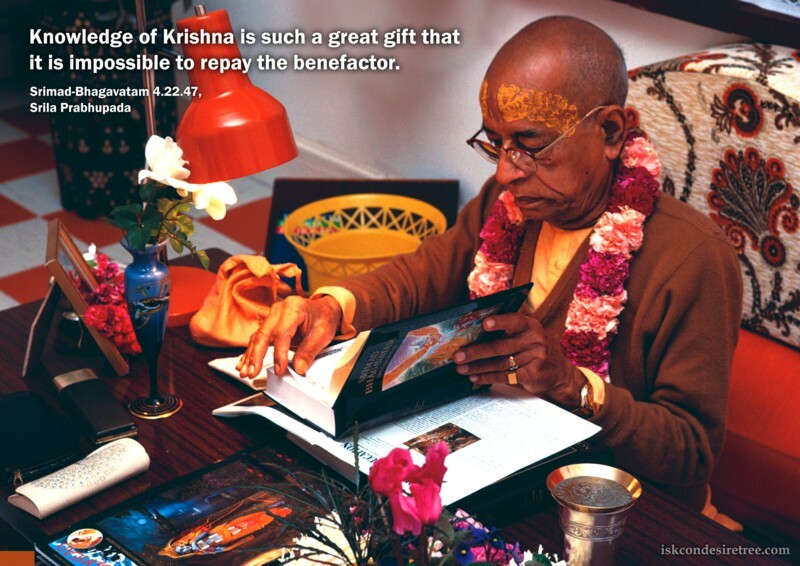 Knowledge of Krishna is such a great gift that it is impossible to repay the benefactor. 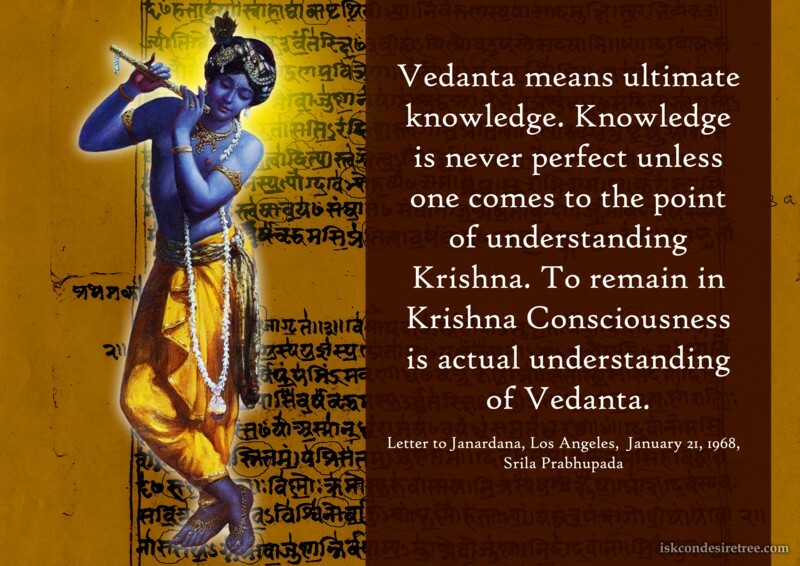 Vedanta means ultimate knowledge. 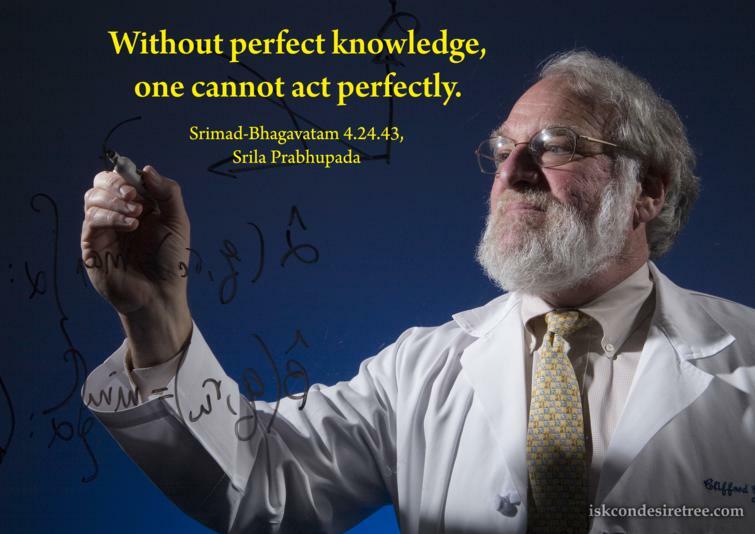 Knowledge is never perfect unless one comes to the point of understanding Krishna. 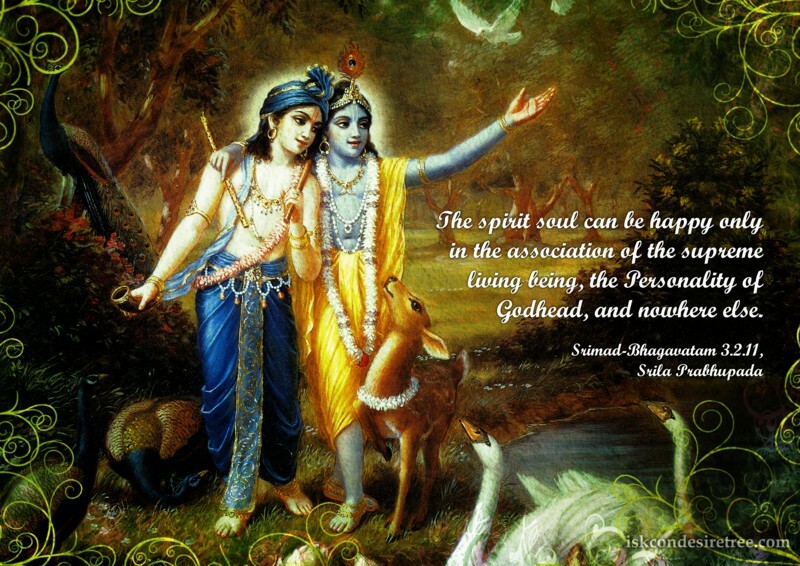 To remain in Krishna Consciousness is actual understanding of Vedanta. The highest summit of spiritual perfection is knowledge of the Supreme Personality of Godhead. Ordinary knowledge obtained by a university education pertains only to matter. Knowledge means knowing the distinction between spirit and matter. In modern education there is no knowledge about spirit; they are simply taking care of the material elements and bodily needs.